CALI 18 "BAD TO THE BONE 2"
Michael William has been issued a 30 day NO CONTACT Training and 30 day No Competition until November 28th, 2016 by Dr. Larry Vigilia. Judge Marcos Guevara: 10-9 Murillo. Judge Luis Cobian: 10-9 Murillo. Judge George Valdez: 10-9 Murillo. (**) Weight signed off by opponent & opponent's trainer. Barry Hawkins' has been issued a 30 day NO CONTACT Training and 45 day No Competition until December 13th, 2016 by Dr. Mitch Jelen. Judge Marcos Guevara: 10-9 Thomson. Judge Luis Cobian: 10-9 Thomson. Judge Francisco Granillo: 10-9 Thomson. (**) Xakhamdy's IKF CA License Expired on 10-4-15. Fought on 10-29-16 without paying IKF CA License. Added Fine if not paid by 12-15-16. Kennedy Maze has been issued a 30 day NO CONTACT Training and 30 day No Competition until November 28th, 2016 by Dr. Larry Vigilia. Judge Marcos Guevara: 10-9 Maze. Judge Luis Cobian: 10-9 Flores. Judge Francisco Granillo: 10-9 Flores. Judge Marcos Guevara: 30-27 Hermant. Judge Luis Cobian: 29-28 Hermant. Judge George Valdez: 29-28 Ramirez. Angel Jimenez' has been issued a 30 day NO CONTACT Training and 45 day No Competition until December 13th, 2016 by Dr. Mitch Jelen. NO JUDGES SCORES AT TIME OF STOP. Anne Maezawa was an attempted LATE addition replacement bout after Newton's original opponent fell out. In the end, Anne Maezawa couldn't make the event. Monica Teran NEEDS TO HAVE A FULL PHYSICAL. CAN BE DONE BY EVENT DOC AT WEIGH-INS FOR $40: CLICK HERE. Selina Flores NEEDS TO GET IKF LICENSED: CLICK HERE. Barry Hawkins NEEDS TO HAVE A FULL PHYSICAL. CAN BE DONE BY EVENT DOC AT WEIGH-INS FOR $40: CLICK HERE. Barry Hawkins NEEDS TO GET IKF LICENSED: CLICK HERE. Cameron Thomson NEEDS TO SUBMIT AN IKF UPDATE FORM: CLICK HERE. Julio Diaz NEEDS TO HAVE A FULL PHYSICAL. CAN BE DONE BY EVENT DOC AT WEIGH-INS FOR $40: CLICK HERE. Julio Diaz NEEDS TO GET IKF LICENSED: CLICK HERE. Paul Madrid NEEDS TO SUBMIT AN IKF UPDATE FORM: CLICK HERE. Abdullah Essam NEEDS TO HAVE A FULL PHYSICAL. CAN BE DONE BY EVENT DOC AT WEIGH-INS FOR $40: CLICK HERE. Abdullah Essam NEEDS TO GET IKF LICENSED: CLICK HERE. 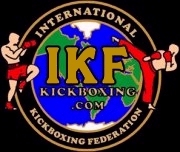 Angel Jimenez NEEDS TO SUBMIT AN IKF UPDATE FORM: CLICK HERE.